Organization of Iranian-American Communities-US (OIAC), the largest, most active grass root body of Iranian Diaspora in the United States, and other peace seeking Iranians and Americans NGOs, invites all concerned citizens to join the supporters to the “Free Iran Rally”, scheduled for Wednesday, September 20, 2017 outside the United Nations Headquarters in New York City. The gathering will bring thousands to the U.N. against the backdrop of increasing executions in Iran just as the U.N. General Assembly meetings convene. This year’s rally coincides with shocking new revelations about the 1988 Massacre of some 30,000 political prisoners in Iran. Those with direct involvement in the massacre hold the highest positions in the current government of Iran. Rally participants will call on the United Nations to hold them accountable for this crime against humanity. 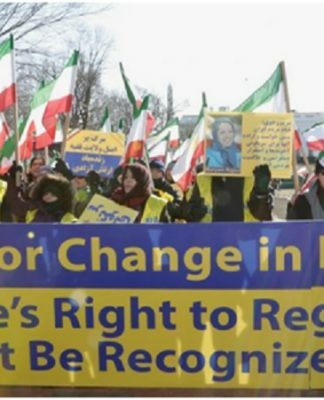 Thousands of Iranian-American community members will join human rights activists, prominent civil and political leaders to condemn unabated executions in Iran, denounce Iranian government’s malign role in the Middle East, particularly in Syria, Iraq, Yemen and Lebanon. The gathering recognizes and echoes the rights of Iranian people and their organized resistance’s for democratic regime change in Iran.